Members of the All Progressives Congress loyal to the Kawu Baraje-led defunct new Peoples Democratic Party have indicated interest in returning to the negotiating table only in an environment devoid of fear and intimidation. Baraje, the National Chairman of the defunct nPDP, said this on a political programme on TVC monitored on Saturday. 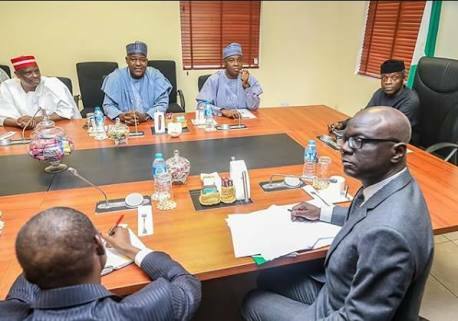 He explained that members of his group were still interested in going back for peace talks because their interest in the health of the APC was the reason behind the letter they wrote to the party. Baraje however said their return to the negotiating table was predicated on the provision of a conducive atmosphere devoid of fear and intimidation of its members and leaders. He said, “We are ready to go back for peace talks. If we were not ready, we wouldn’t have raised that letter. For us to go back, the environment must be welcoming. In response to a question on what the group would do if the party calls its bluff, Baraje said, “If they call our bluff, we will go back and take a decision. “Baraje is just providing leadership for the group. Let the APC call our bluff first then we will go back to the people who sent us and they will take a decision. “If you represent a group and the interest of that group is not being taken care of, you would have to look for a place where you will be catered for. “Every individual has aspirations; if your aspiration will not be taken care of in a particular space, you have to change base.